Your Rotor: Guaranteed for Life REDUCE SIZE. Split-a-part design shredder for parts and scrap that's easy to service. 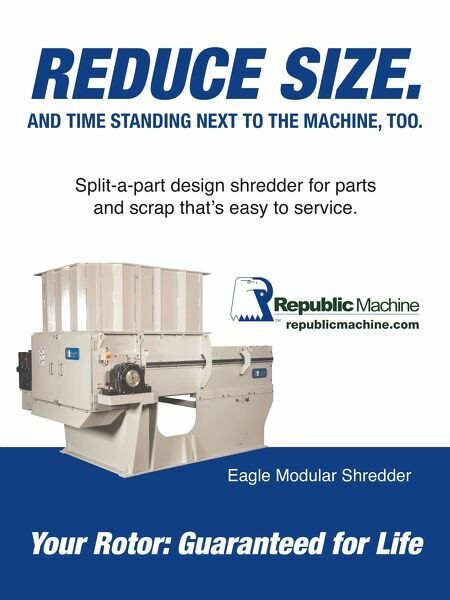 republicmachine.com Eagle Modular Shredder AND TIME STANDING NEXT TO THE MACHINE, TOO.